“I just want to make a note of apology for the idiotic behaviour of my president,” De Niro said, winning big cheers from the dozens who turned up for the groundbreaking ceremony. You can watch De Niro’s comments in the video below. Hours after agreeing to a joint communique with his G7 allies on Saturday, Trump tweeted that he had told his officials to abandon American support for the document and blamed Trudeau for the move. Trump said Trudeau had made “false statements” at a summit news conference, then threatened to go after Canada’s auto industry, a mainstay of the Ontario economy, in the same way he has already targeted the country’s steel and aluminum sectors. On Sunday, Trump’s top economic adviser Larry Kudlow said Trudeau made the president look weak ahead of his high-stakes summit this week with North Korean leader Kim Jong-un, while trade adviser Peter Navarro said there was a “special place in hell” for the prime minister. That prompted calls for U.S. officials to apologize, something De Niro was willing to do. “I apologize to Justin Trudeau and the other people at the G7,” De Niro told the crowd. De Niro, a staunch Trump opponent, had a bigger stage to lash out at: Sunday night’s Tony Awards in New York City. 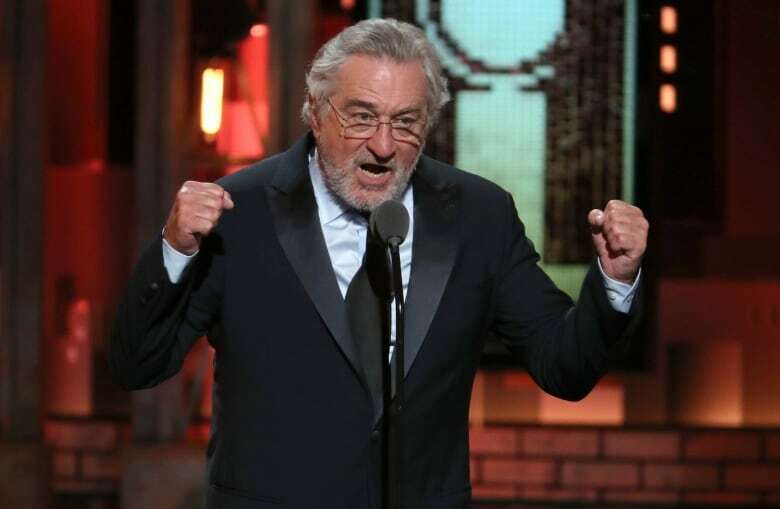 De Niro dropped a couple of F-bombs before raising his arms and encouraging the crowd to vote in the upcoming midterm elections. The CBS television audience heard dead silence instead of De Niro’s comments, The Associated Press reported. De Niro, in an interview with CBC Toronto following the news conference, said he doesn’t see himself as a political person, but he is angry and frustrated with Trump’s behaviour. “I have no choice but to speak out,” he said, before admitting his comments just add to the recent war of words. Still, De Niro says he hopes more people will speak out against Trump. “This guy just is a jerk,” De Niro said. The Hollywood icon, Matsuhisa and film producer Meir Teper are in Toronto promoting what they’re calling the “world’s first” complex to feature a Nobu restaurant, hotel and residences. The Toronto facility will be built at 15 Mercer St., near King Street West and Blue Jays way, in the city’s downtown core. Condo units in the building, which is still in the pre-construction phase, are selling for some $1.4 million each for 888 square feet, according to the local real estate tracking website BuzzBuzzHome.